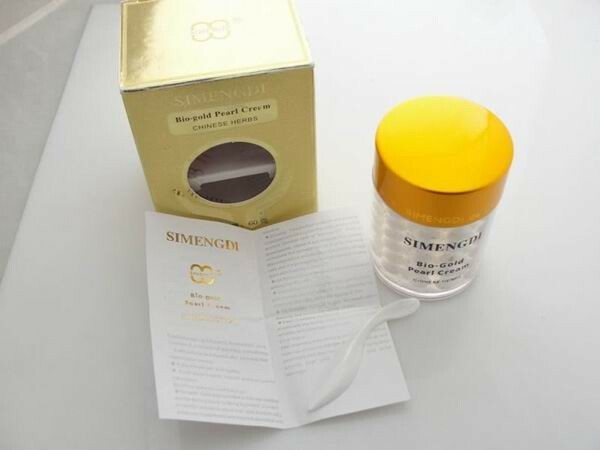 Simengdi Bio-gold Balancing Night Cream is available in international travel boutique stores in major cities in China. 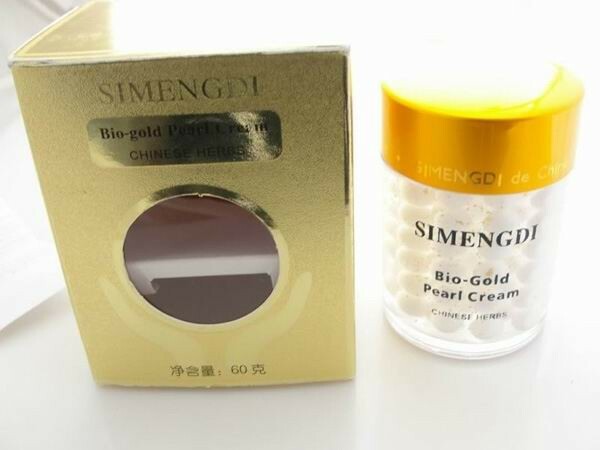 1.Simengdi Bio-gold Balancing Night Pearl Cream series are one of the most famous national skin care brand in China. 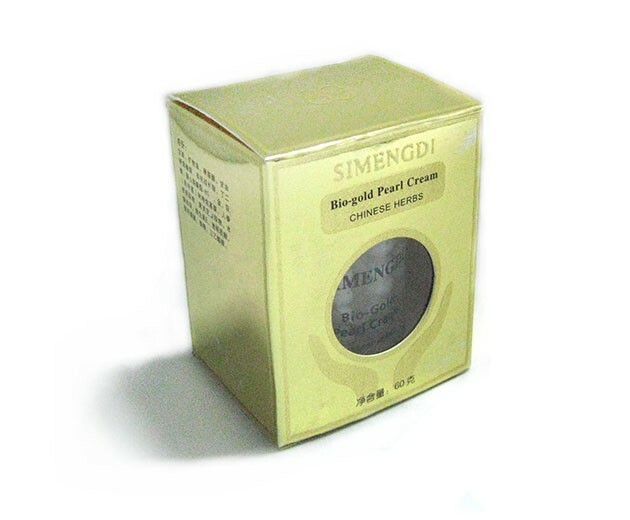 2.Cream can reduce wrinkles and maintain skin vitality. 3.Just as get a beauty sleep. 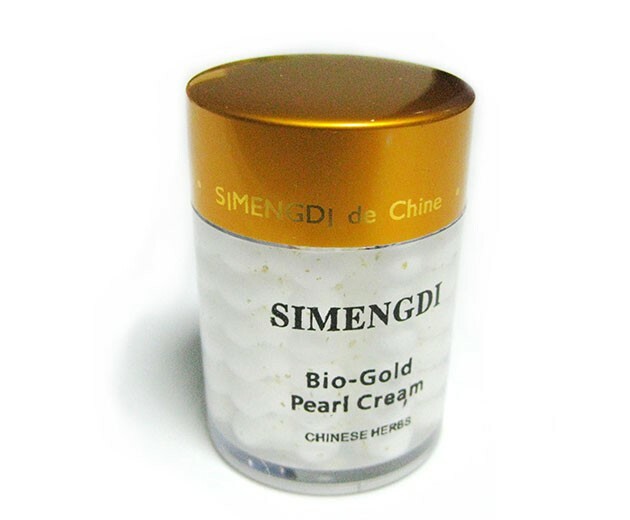 Simengdi Pearl Cream is available in international travel boutique stores in major cities in China. 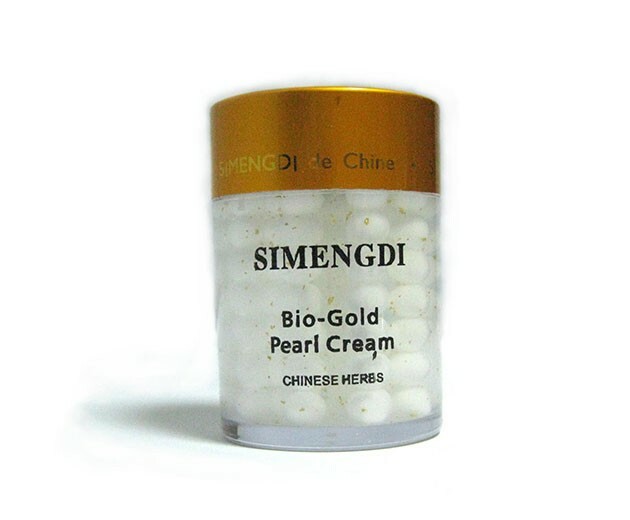 Bio Gold Series of Simengdi Pearl Cream. Suggested for Evening Use. Shaped like a string of pure white pearls, each of the bead is for one use. Ingredients: Extracts of Ginseng ganoderma, Hydrolyzed Pearl liquid, Vitamin E. Hyaluronic Acid ,Long Chain Fatty Alcohol. maximum levels of beneficial antioxidant and anti-aging effect especially during the evening restoration period. 1. Hydrolized Pearl: Contains many kinds of amino acid. Can accelerate the metabolism of skin cells, reduce wrinkles and slow aging process. 2. Extract of Ginseng: Wild genseng collected from Chang bai Mountain is considered in China as the herb for "eternal life". enhance the activity of skin cells. It may also eradicate free radicals to slow down skin's aging process. 3. Hyaluronic Acid: Moisturizing factor. Keeps the water balance among the skin cells. 4. Vitamin E: Supplies nutrition to skin. Increases skin's elasticity and slows the aging of skin. 5. Extract Ganoderma: Contains organic germanium, polysaccharide and alkaioid. Can stimulate the activity of skin cells. 6. Long Chain Fatty Alcohol: Fatty alcohols are emulsifiers and emollients to make skin smoother and prevent moisture loss. pearl beads with attached spoon, blend lightly then massage over your face gently.